In 2016, Council adopted a by-law to expand the downtown community improvement project area to include all lands within the downtown core. The expanded boundary will create more opportunities to attract office development and balance growth in the downtown area. During development, City staff engaged with landowners and realty brokerage representatives. Residents were also invited to a public meeting to discuss the draft Downtown Community Improvement Plan. The project team will bring forward the final improvement plan for Council adoption in 2017. Mississauga is home to a diverse business community, rich in Life Sciences, Advanced Manufacturing, Information and Communication Technologies and Financial Services. In 2016, the City's Economic Development Office (EDO) created targeted value propositions grouped by sector. 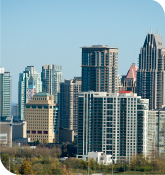 The propositions were intended to attract more knowledge-based, innovative businesses to Mississauga. 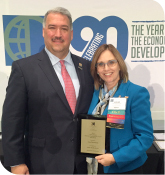 The EDO team received an award for Gold Excellence in Economic Development for its 2016 Sector Profiles project in the category of Special Purpose Print Brochure from the International Economic Development Council (IEDC). EDO will be producing a Cleantech profile in 2017 and will continue to monitor Mississauga's key sectors. In 2016, the Public Sector Network (PSN) made high-speed fibre connectivity available at all City facilities. Residents can now enjoy free public Wi-Fi in City facilities as well as key public spaces such as Mississauga Celebration Square. City staff is looking at new ways to implement more technologies to help Mississauga become a Smart City. Work is being done to build high-speed connectivity that will enable the Advanced Traffic Management System (ATMS) and free Wi-Fi inside City parks. Staff is also working on the District Wi-Fi project that will help link local businesses and City Services in one digital experience. This technology will boost Mississauga's tourism industry and local economy, while creating new opportunities for local businesses and jobs. 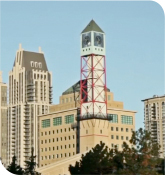 Smart City will also help achieve Mississauga's Information Technology (IT) Master Plan goal of creating a connected and engaged city. For more information, visit IT Master Plan. The Small Arms Inspection Building, built in 1940, is an important piece of local and national history. The property reflects Canada's contributions to the Second World War and the role of women in manufacturing. In 2016, Council committed to acquiring the building from the Toronto Region Conservation Area (TRCA) to begin preservation and rehabilitation. Design work was also completed, with construction set to begin in spring 2017. 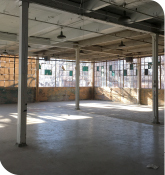 With financial support through the Canada 150 Community Infrastructure Program, the Region of Peel and the TRCA, the City plans to preserve and rehabilitate the building. The south portion of the building will be transformed into a vibrant multi-use space that will serve as a community cultural hub. 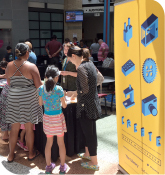 The Library's Maker Mississauga initiative launched in 2014 with the goal of inspiring the community to make, do and learn. Makerspaces foster creativity, collaboration and drive economic possibilities in the community. The program brings together people with common interests to work collaboratively. It also helps residents develop skills in the areas of science, technology, engineering, art and math (STEAM), as well as digital literacy skills. In 2016, 837 programs were offered across Mississauga¿s 18 libraries to over 12,750 attendees. A user survey showed that 88 per cent of respondents learned something helpful from a Maker Mississauga program. In 2017, two additional Makerspaces will be introduced. The Library will continue to run programs, enabling library users to easily and conveniently access technology and other maker equipment. The Inspiration Lakeview Master Plan is setting a vision for the Ontario Power Generation (OPG) lands along Mississauga's southern edge. 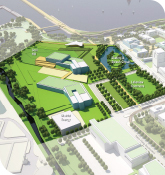 A proposed Innovation Corridor will feature a high-tech green campus, attract state-of-the-art employers and promote sustainable, forward-thinking economic growth. The corridor will also include cultural uses at the Small Arms Inspection Building and a research/institutional campus. In 2016, the City successfully applied for a grant of $250,000 from the Government of Ontario, confirmed the details of this funding and developed a Statement of Work and Request for Proposal. With the grant, the City will develop a project team and begin a market analysis and economic feasibility study in 2017. Companies in Mississauga continue to generate patents each year. The number of employees and businesses in creative industries has decreased since 2015. The number of cultural facilities throughout the city has decreased since 2015 but still remains higher than 2014. 1. World Intellectual Property Organization, Patent Scope. 2. City of Mississauga, Culture Division. 3. City of Mississauga, Culture Division. Data for past years is unavailable based on the new methodology used in the Cultural Resources Map.